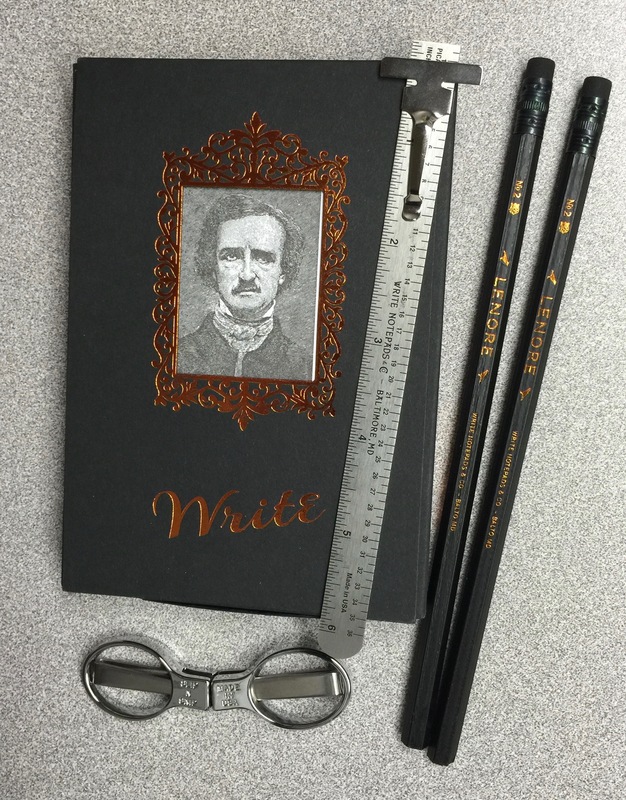 Their first quarterly offering— the Lenore pocket notebooks and pencils you see above— blew me away. As subscriber #16, I look forward to seeing what Chris dreams up for the next release. The bar has been set very high right out of the gate. 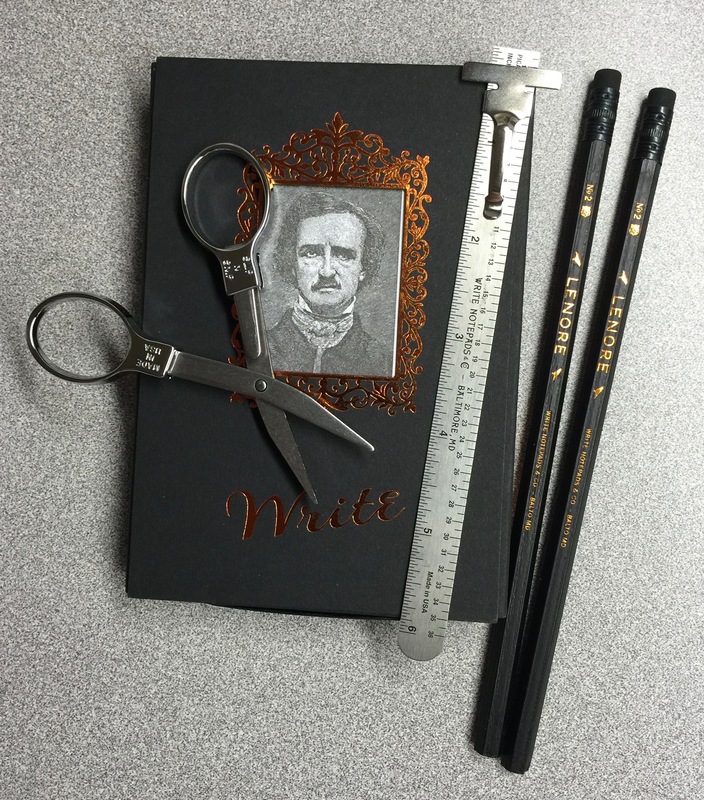 I’m so drawn to their notebooks and pencils when I’m browsing on their site, that I didn’t immediately notice the perfect little accessories that they offer alongside their notebooks. 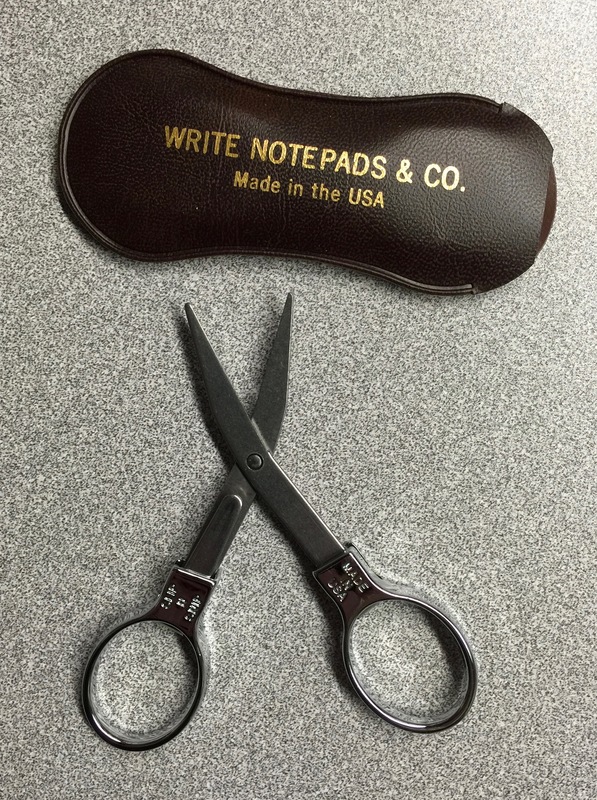 But once I saw the “made in the USA” Pocket Linear Measuring Device ($7.99) and Folding Pocket Scissors ($9.99), I had to order both. The Pocket Linear Measuring Device is made about 40 miles from my house, in East Syracuse, NY, by Gaebel. It’s stainless steel, features a sliding pocket clip, and includes four units of measure—pica, inches, points, and metric. 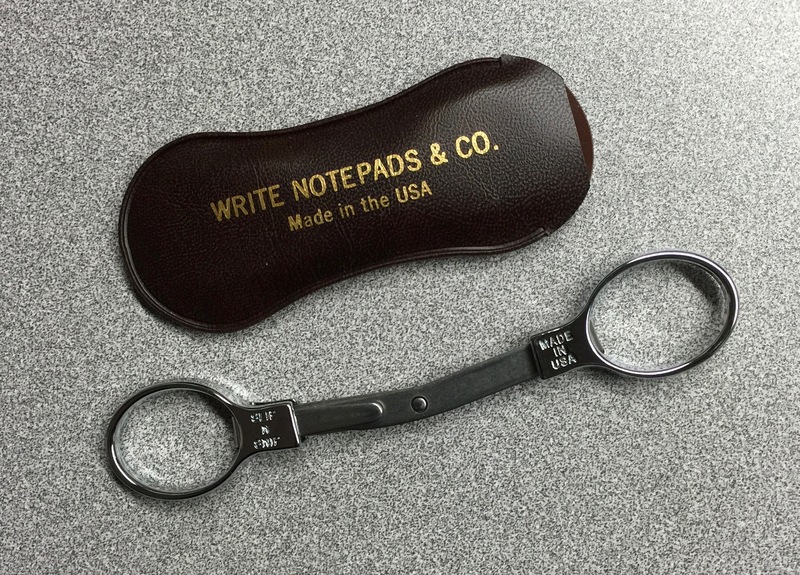 I’m a compulsive underliner (yet another quirk), and I like my underlines to be straight, so I use this tool every single day in my daily personal and work pocket notebooks, and even on the index cards where I compose my grocery lists. I keep this perfectly sized ruler in my Nock Co. Sinclair, so it’s always at hand. then press the handles down until they meet. Voila— sturdy and adorable scissors are at the ready. Made and hand-assembled in Sweet Home, Oregon, these small but mighty scissors have become a favorite pocket carry. Once you start carrying scissors, you realize how often they come in handy. I receive and open a LOT of packages in my job, and while I use a box cutter to do the heavy cutting, these are the perfect tool to cut into the inner packaging. I’ve use them to clip coupons, to cut sign up forms out of the church bulletin, and to trim a pulled thread. They even made an appearance at a recent baby shower, where I lent them to the mother-to-be to snip a particularly stubborn ribbon on a gift. Carry scissors and save the day! Amaze people with your preparedness! Who wants to walk all over the house or office looking for the full-size (and often misplaced) scissors when you can have this cute little pair tucked away in your pocket?! 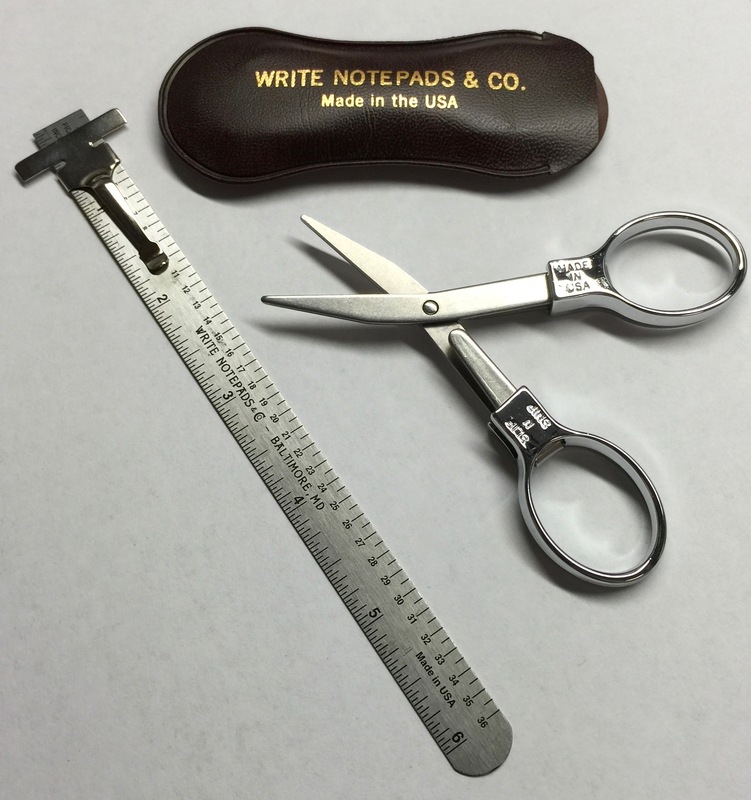 The Pocket Linear Measuring Device and Folding Pocket Scissors, available from Write Notepads & Co., are quality, USA-made, everyday carry accessories. They are the Write tools. 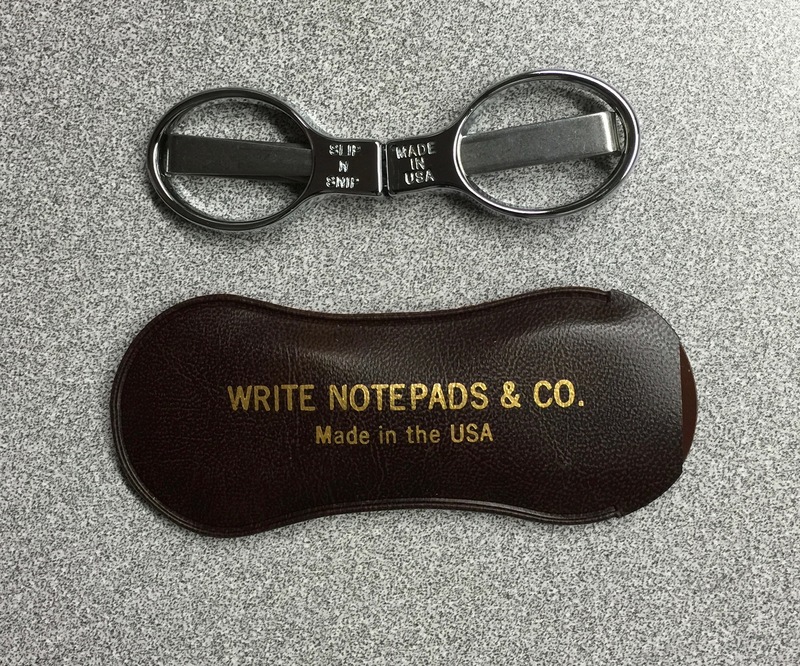 All Write Notepad & Co. products shown and discussed in this review were purchased with my own funds. Chris did not twist my arm to write a review, and I haven’t been compensated in any way. 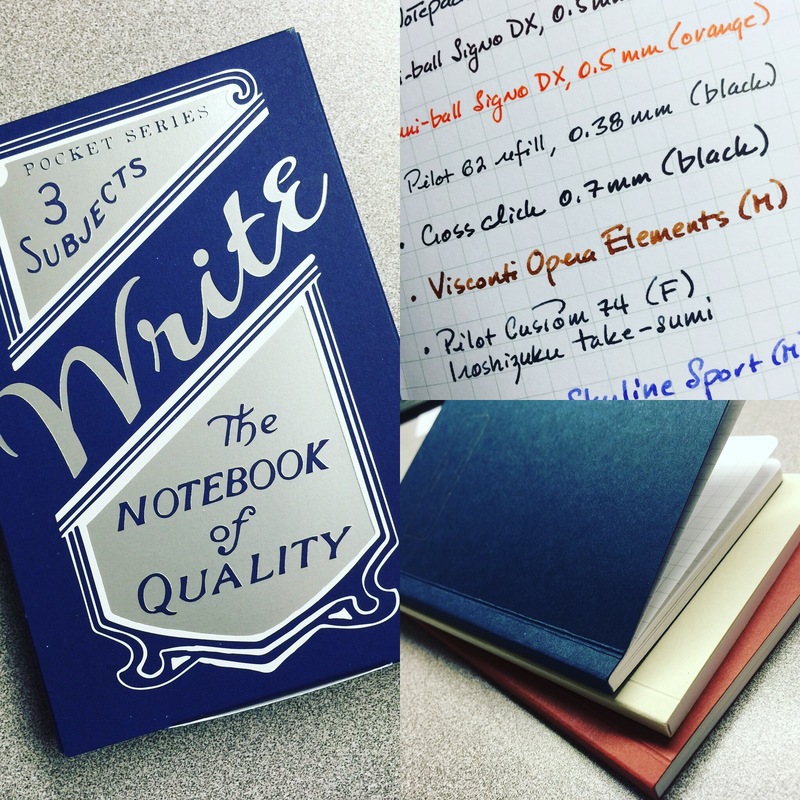 I just love his products and can’t wait for the next pocket notebook subscription installment. Excellent! Glad you like them. Miss you, Letty! I’ve started following your blog recently, and it’s opened up quite a new picture on my fountain pens. I have a huge collection of them, my “won’t” power is weak. But exchanging nibs, and grinding them has gotten me even more enthused. I had just purchased a new Krone pen, and it came with a broad point. I’m not fond of broad points as they leave a lot of wet ink on the page. I sent it to Dan Smith, who put a nice architect grind on it. Now it’s one of my favorites. Also, I wanted a new nib for my Marlen fountain pen. I ordered a Goulet nib in a 1.1 stub. It didn’t fit in the Marlen, but it did fit in the Edison Nouveau. It’s like having two new fountain pens that really write very nicely. All because I read your blog. I so appreciate this feedback, Bo. I’ve slowed my acquisitions this year (somewhat) and have also been having fun getting some nibs tuned and ground. A couple are on their way to me, from Dan, as we speak. Excited to try them out! I’m happy to hear that my blog has helped you enjoy your pens even more. Thanks for writing!